The HEAT WAVE!! Oh My! 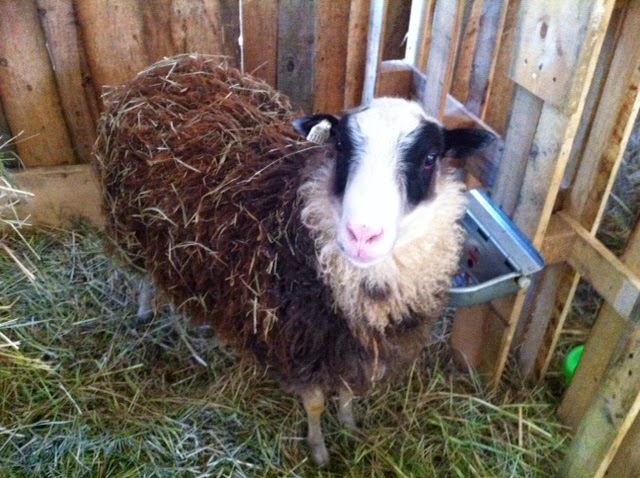 Roasting sheep hoarding the water buckets. 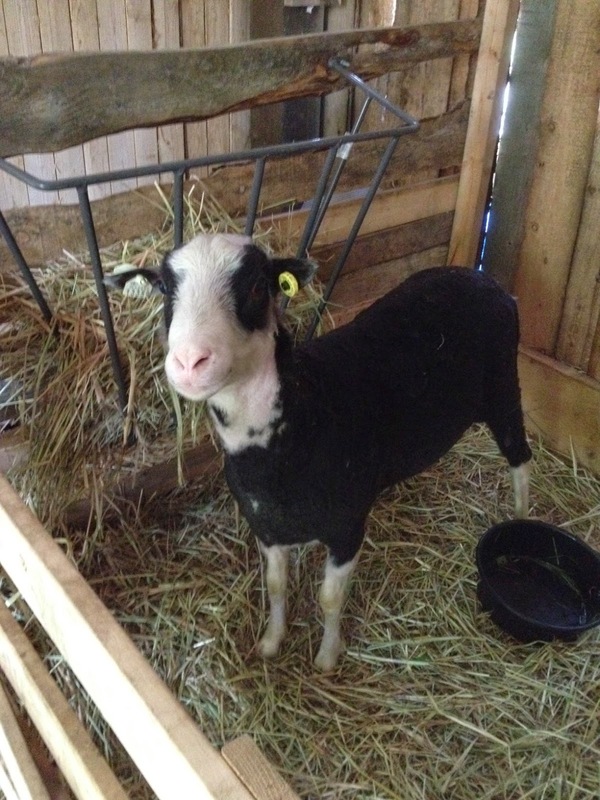 Your fleece is not long enough for another shave yet! Looks like you guys will need to bear with it or hope for rain! what's that little whip that keep slapping my face?!? minus the feather duster please. Magic Panda and Mozart are best of friends in the sheep/dog world! Red treasures in the soil. These are the Pontiac Reds. They have more starchy content than the Norland which make them very good for mashed potatoes. They look even nicer after they have "bathed". Got a visitor resting right on the door frame of our house. This little tree frog is only the size of a loonie but it doesn't look as skinny as the one resting on our dahlia roots a couple of years ago. Peaches! What in the world? Damn bear has been feasting on the fruit trees AGAIN! First it cleans off the cherry trees now taking bites here and there on the peach trees! It's bath time! WHAT?!?! A kiddie pool!?!? This is insulting. A swim in the ditch. Ahhh....that's more like it! A proper swim hole for the ducks! Sally enjoying a carrot from our farm. 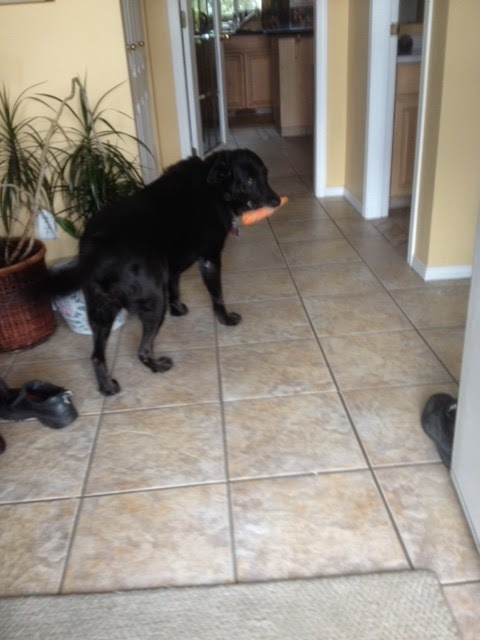 She thought we were going to take her carrot away so she headed back into the house. 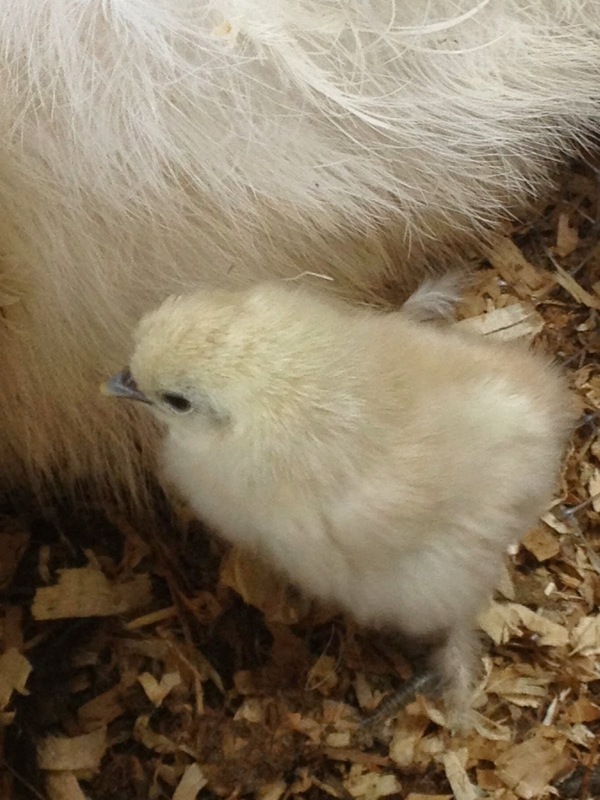 A Silkie baby chick hatched by the mommy herself! Because of their size these little guys are extremely hard to keep in the fenced area! On rainy days the ducks rule the front yard! 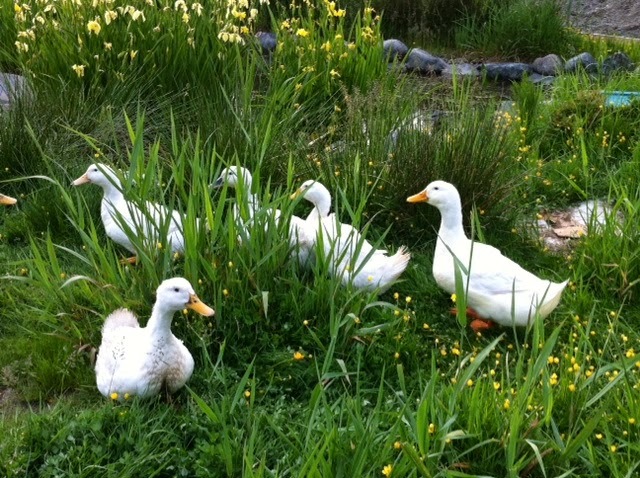 They love bathing in the pond and any puddles along the way. 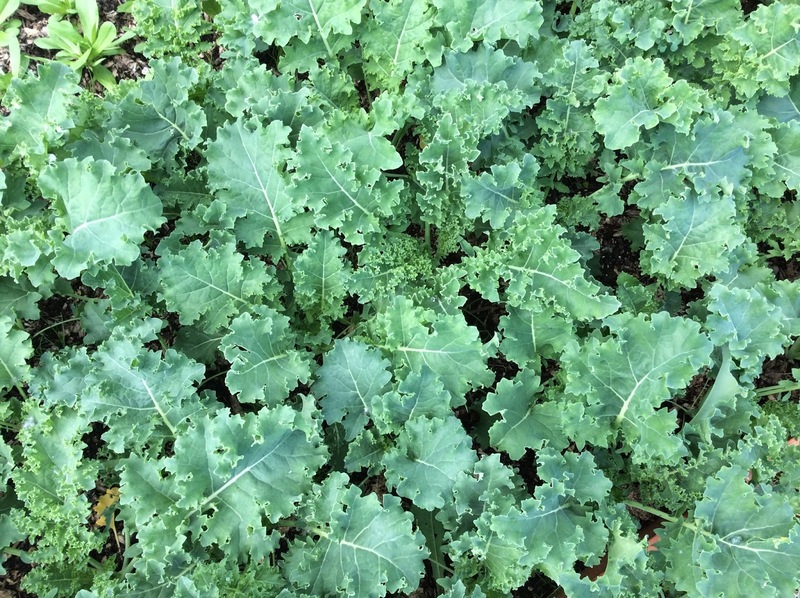 This year's kale is now harvest-able size! Kale chips anyone? 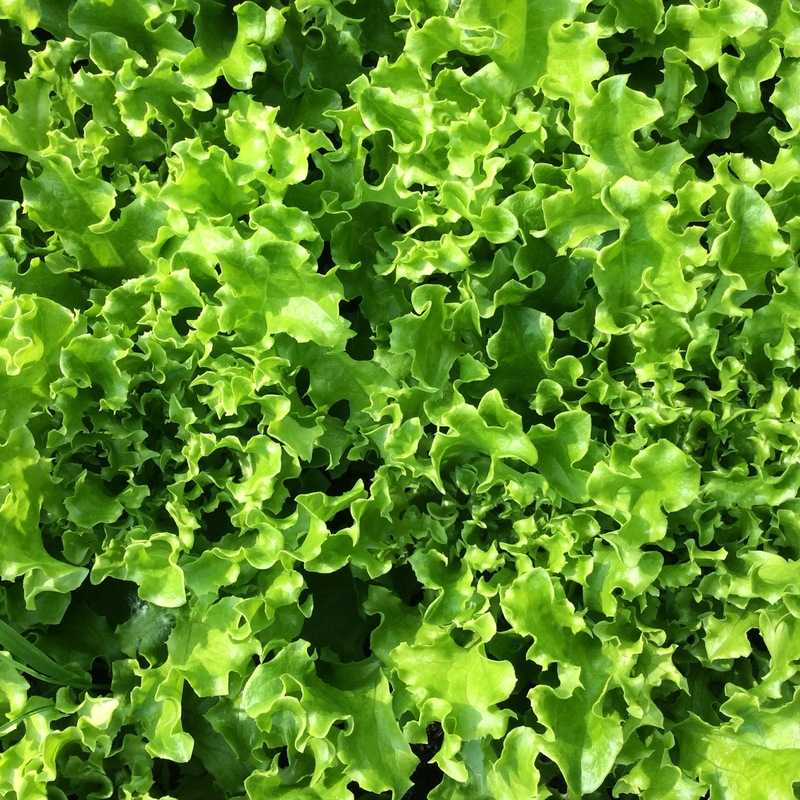 Salad Mix is in! We've got these green ones, red ones, mizuna, and baby arugula! My! Aren't you dressed a little TOO WARM for this season?!? Magic Panda says, "fine, take it all off then." Hmmm...you are quite skinny....all that bulk was just FLUFF. Tree Peony is also in bloom. 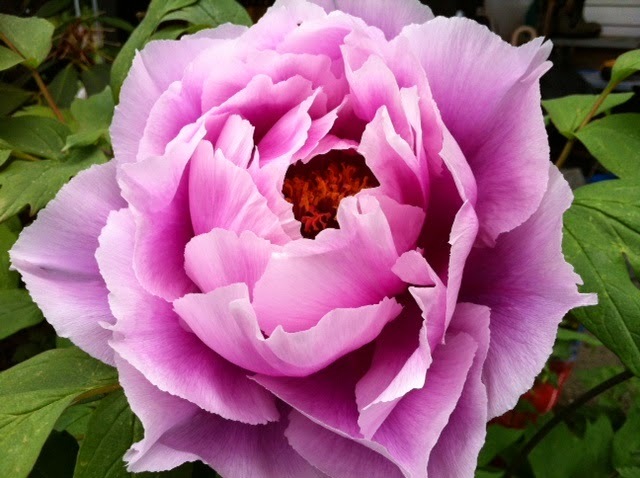 The only peony that comes close to this colour is Border Charm. 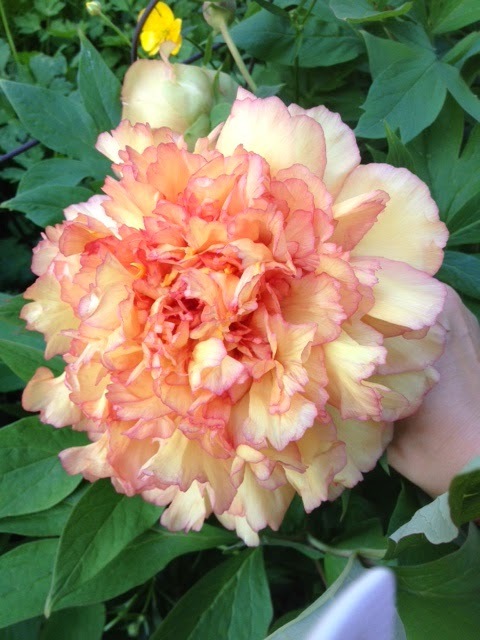 Earliest tree peony to come into bloom this year. This one is about 10" across. Market is now in full swing. Come visit us every Saturday at the Peace Memorial Park in downtown Maple Ridge. Market opens every Saturday from 9am ~ 2pm.